We are ready the serve you at every hour of the day with our smiling personnel, to be able to give the most qualified and perfect service. 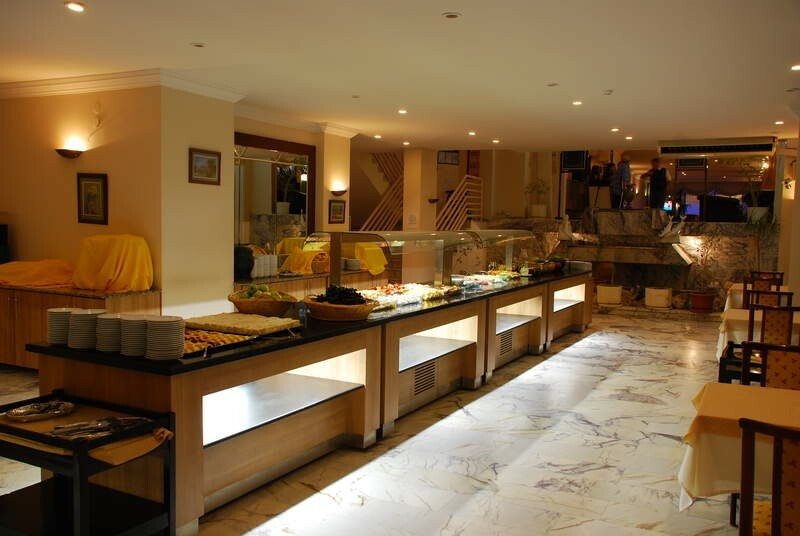 At the Garden Of Sun Hotel we offer delicious foofd from Turkish and International cusine and Sea food cusine with an excellent service. 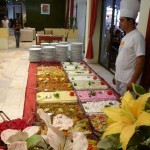 There´s always a wide selection of delicious meals to choose from. 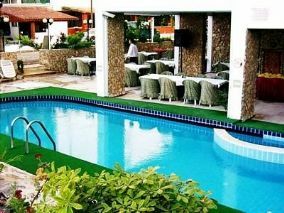 The Garden of Sun Hotel serves 365 days a year with all inhouse facilities and relevant outdoor facilities according to the weather contidions. 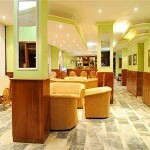 The Garden of Sun Hotel serves you throughout the year, for your business meetings, conferences and all special events. 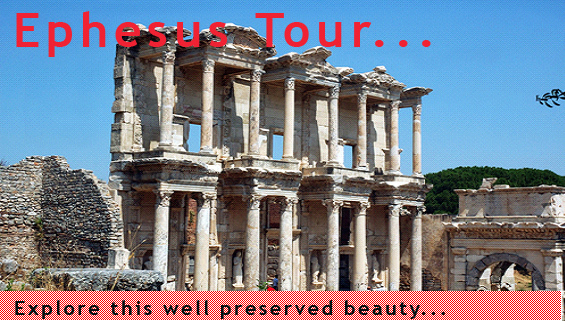 Enjoy The Marvelous Aegean Sea and several recreations organized for you and your family. Your children will enjoy and play at the children club, while you are having a rest at the beach or choose one at the recreation activities organized for you and your family. Don”t forget to visit our SPA & Wellness Center to renew your body by the magical touch of our professional therapists, and relax at the traditional Turkish bath and sauna. Renew your body and soul in the relaxing athmosphere of the Spa & Welness Center at the Garden of Sun Hotel. You can reshape your body at our fully equipped Fitness Center. Thalasso Therapy, Aqua Therapy, Sollarium, Sauna, Jaccuzzi and Turkish Bath are the alternative spa services for you to restore your energy and renew your body. 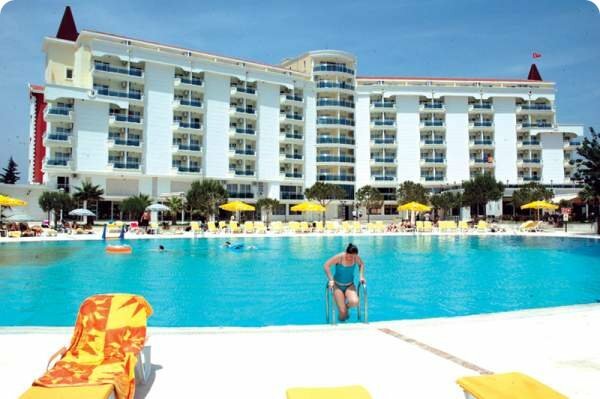 BOCCIA, VOLEYBALL ,JIMNASTIC, STEP, JOGGING, AEROBIC, POOL GAMES, SHUFFLE BOARD, TOURNAMENTS OF COCTAIL AND BACKGAMMON, DART, BINGO,CARD GAMES, LIVE MUSIC, NIGHT SHOWS, DISCO. 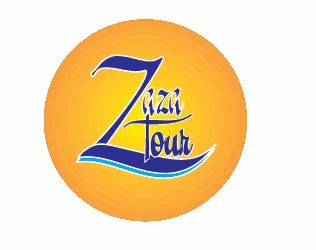 BILLIARD, WATER SPORTS, MASSAGE, DOCTOR, ROOM SERVICE, EXPORT DRINKS, INTERNET, FRESH ORANGE JUICE, BEACH CLUB , MINI BAR, SCUBA DIVING. 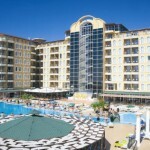 TENNIS, TABLE TENNIS, BASKETBALL, MINI FOOTBALL, TURKISH HAMMAM, SAUNA, FITNESS CENTER, MINI CLUB. 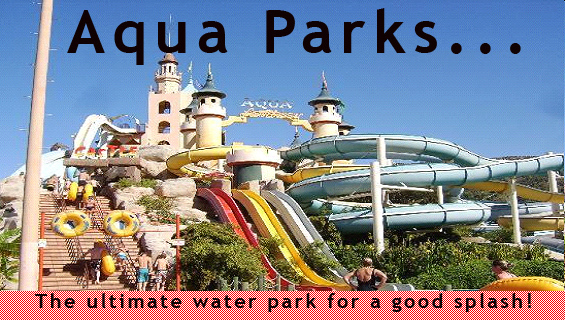 Swimming Pool with Water Slides , Children’s Pool. Beach Towels is free of charge. 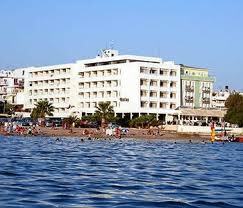 Temple Hotel is located in the Didim district, only 150 metres from the beautiful Altinkum Beach. 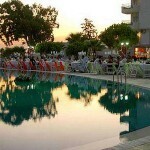 The hotel offers an outdoor swimming pool and air-conditioned rooms with free Wi-Fi. 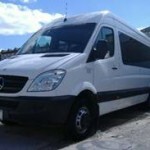 The rooms include a minibar and LCD TV with satellite channels. Their bathrooms come with a shower or a bathtub. All rooms have a private balcony. 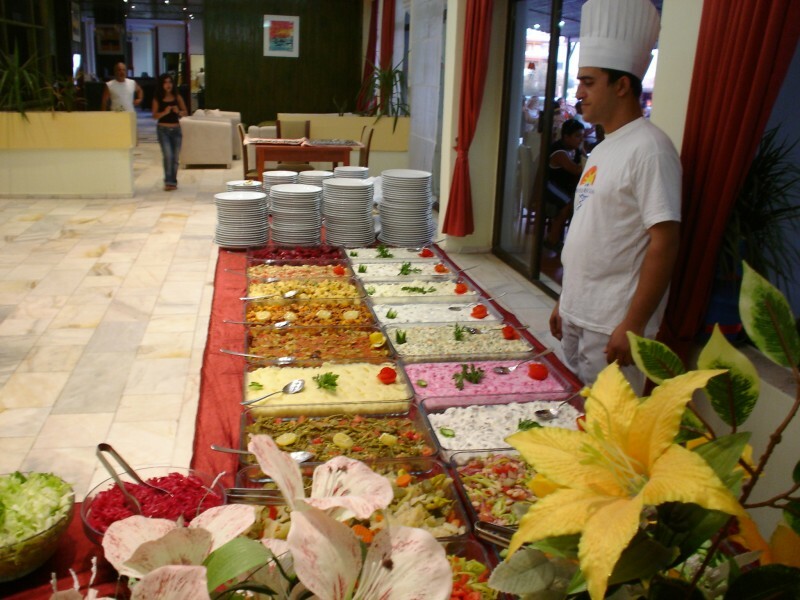 The restaurant offers à la carte and buffet options. 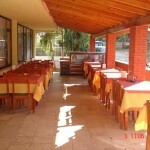 Guests can choose to have their meals indoors or outdoors. 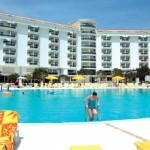 Drinks can be enjoyed from the pool bar. 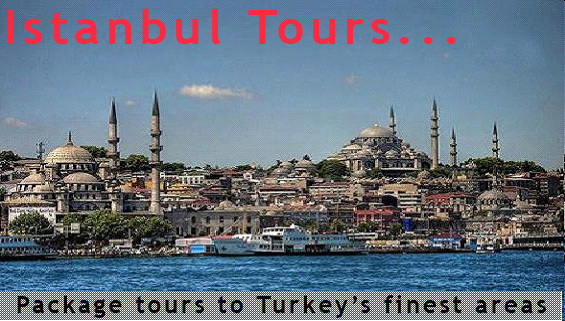 Altinkum town centre is 100 metres from Hotel Temple with local eateries, cafes and markets. 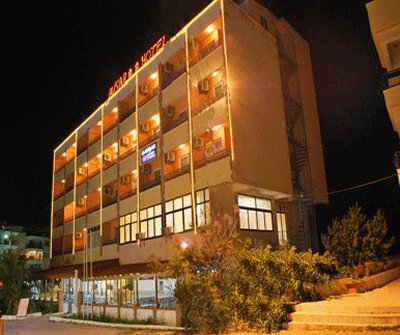 Bodrum Milas Airport is 90 km away. 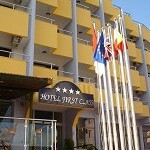 First Class Hotel is only a few steps from the beautiful sandy Altinkum Beach and the turquoise waters of Aegean Sea. 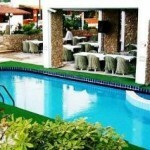 The hotel offers an outdoor pool, hot tub, fitness centre and a sauna. 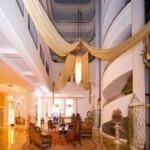 The nicely decorated rooms of Temple Class are equipped with air conditioning and TV. They all have a balcony and some rooms offer sea views. Free Wi-Fi is also provided in the rooms. 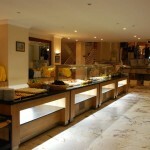 The restaurant serves Turkish and international cuisine with à la carte and buffet dining options. The hotel’s bar offers a variety of drinks throughout the day. 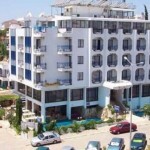 Didim city centre is 3 km away. 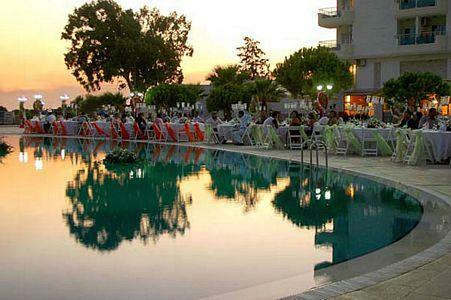 Guests can visit the historical Temple of Apollon, 4 km from the hotel. 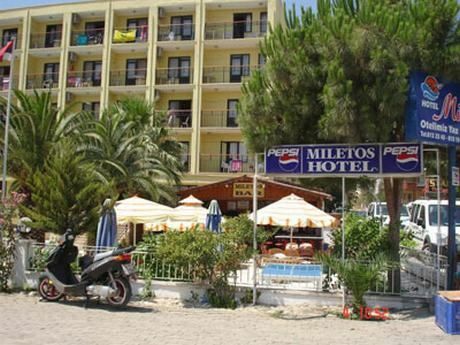 Bodrum Milas Airport is 80 km away. 24 hours hot water. 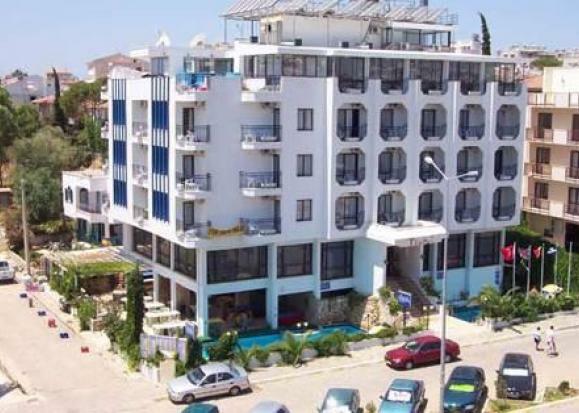 Air condition, satallite channel,(optional) Room qty : 60 Bed qty : 150 There are 2 bars (pool bar and lobby bar) Pool qty : 2 (children pool and adult pool) Big garden which is parallel to center of Altinkum. Turkish restourant & special and delicious Turkish meals. Tv salon. 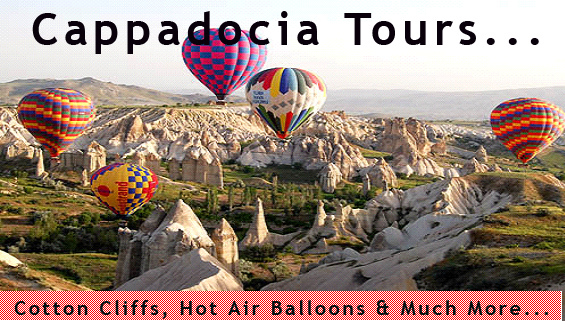 We are inviting you for special vacation. 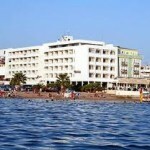 The Tuntas Hotel Altinkum welcomes back guests each year with a sandy beach on its doorstep. 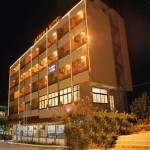 Tuntas Hotel Altinkum is a well-maintained hotel in lively surrounding. 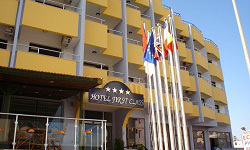 This comfortable and popular hotel is an ideal choice for families and couples wanting a good standard base from the area further. 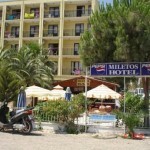 Location : On the beach, Local Shops 50m away, 800m from the town centre. 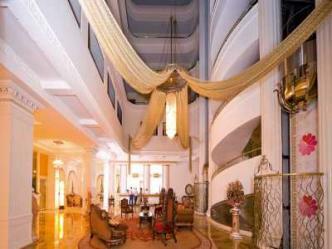 Travellers appreciate the warm welcome at the well-appointed 2-star hotel with 20 rooms. 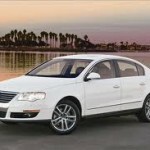 The hotel is pleased to provide car rental for its visitors. Just ask the knowledgeable staff at the reception for details. For peace of mind use the strong box. Our knowledgeable team at the reception will be pleased to help whenever you need them. Order a wholesome meal or snack from our knowledgeable room service team when you are hungry. The hotel parking is available at all times. You can call on the knowledgeable reception staff whenever you need them for assistance and a trusty wake up call. The minibar in your well-appointed room is available to you at all times. 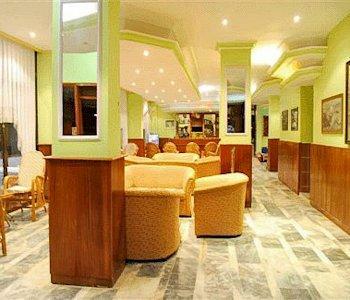 The 20 well-appointed air conditioned rooms are always at the right temperature for you. Our guests enjoy the benefit of Pay TV. There are non-smoking rooms available in the well-appointed hotel. Rooms with a balcony can be reserved when reserving your room. Please let us know your requirements. The hotels’ visitors enjoy the benefit of cable TV and a telephone in every room. Relax beside our outdoor pool or keep fit in its cooling waters.The well-appointed wine/beer pub is a popular feature with all the hotels’ visitors. Guests enjoy relaxing in the pleasant hotel bar with friends. The knowledgeable staff is looking forward to welcoming you to our café-bistro and to serving you with a wine and tasty snacks. 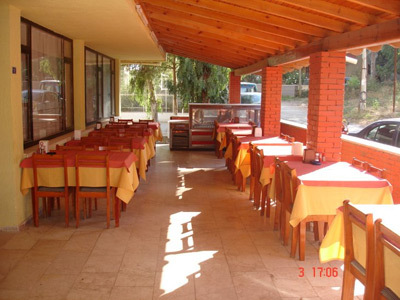 Relax on the hotels’ well-ventilated terrace with an excellent meal.